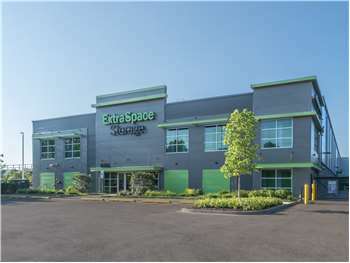 Located on W Central Rd just west of Northwest Hwy, Extra Space Storage serves residents of Mount Prospect and Arlington Heights. Locals will recognize our facility next to Melas Park near Westbrook Elementary School. Extra Space Storage on W Central Rd offers a large selection of storage units, climate-controlled storage, and exceptional security, making us your ideal storage partner in Mount Prospect! It's easy to find the solution for your residential or commercial storage needs at our Mount Prospect storage facility! Units range from 5x4 to 20x22 with features like climate control, indoor access, and more! We take your security seriously, which is why our W Central Rd storage facility utilizes advanced security features like 24-hour video surveillance, electronic gate access, and an on-site manager. Protect sensitive items from Mount Prospect's extreme heat, humidity, and cold all year with climate-controlled storage! This feature keeps your unit safely between 55 and 80 degrees for year-round protection! Climate-controlled units come in sizes 5x4 and 20x22. At Extra Space Storage, we always keep our facility well-maintained, clean, and secure to ensure you get dependable storage. We also have a friendly, professional staff available to provide assistance, whether that's simply answering your questions or helping you find the best solution for your needs. Come see why residents and businesses choose us! Contact us today to reserve a storage unit in Mount Prospect! Best first time experience I’ve ever had. From the moment I walked in the service rep was extremely helpful & knowledgeable, the place was well maintained & perfect for my needs. The storage space manager was very helpful in determining the size of the space I would need. She also found a spot that was close to the elevator. I did like the hours of operation and found the supplies needed to pack up my belongings was appropriate in price, volumes and variety. Thanks. It's great to work with a friendly staff that is willing to go that extra mile for the company as well as the person renting. Excellent staff, competitive prices, and well run facility. I prefer this company to my previous storage company. Great experience, friendly staff, easy in and out!! Would highly recommend!!???????????????????? The facility is immaculate. The staff was extremely friendly. The location is accessible. The prices are competitive. Honestly, I would use them again in a heartbeat. I chose Extra Space Storage because of the price, the layout, the climate control, and how I was treated when I first arrived to look around and move in. Great initial experience with this storage facility! The staff helped me choose the unit that met my needs and the location was clean and well lit. Monique was very helpful. The price was right. The location was good. nice and new very clean very safe what more could any one ask for? but people are so lazy today that they may want someone else to put their stuff in to their locker . Very professional staff. Convenient location. Very clean. Secure. I would recommend. Clean, very well maintenanced,good price,,nice location, Very helpfull personality, Fast and accurate understanding needs,thank you very much for your help! I will recomend you! The staff was very helpful and explained everything. The place is super clean and everything is being maintained well. I am extremely happy with my choice of Extra Space for storing my mother's things when she needed to move to a much smaller living environment. It was emotionally exhausting, having to downsize and put into storage her much loved possessions, but I feel very confident that they will be safe and secure at Extra Space. The facility is clean and new, the staff is wonderful, and access is easy, plus, the price was very affordable. It’s very convenient to store extra stuff there and it’s a pretty clean facility. Elevator is a little bit clunky though! The automatic lights are annoying if you need to work there for few minutes. Great customer service the facility is so clean and convenient. They made it so easy for me to just store my things. The price is great to..
Fabulous experience and staff. Clean and welcoming. Overall good experience. Better pricing. Customer service is great here along with the drive up access and access hours. They even provide dollies to use as well. The price is very affordable compared to other storage facilities. As a first time storage unit user I was delightfully surprised to find such a clean well run facility with easy access, climate control and excellent customer service. All combined to give me great confidence using Extra Space Storage for furniture etc. during my home renovation. Facility is very clean, secure, and well kept. Management is super informative and friendly. This is my 4th time renting a storage locker, and ExtraSpace is by far the all around best facility I have experienced! Great new storage facility. Love the ability to unload our van inside the building. Used the provided flat-rolling carts to move a van load of boxes to the second floor in one trip. Manager Barb was very helpful. Great location. Great service throughout the entire process - the staff was extremely friendly and answered all my questions regarding the property before and after the tour. They worked around my move in date. I would definitely recommend Extra Space Storage to anyone in need of storage short of long term! Drive south on IL-83. Pass Wheeling High School and continue straight. Turn right onto Central Rd. Pass W Northwest Hwy and continue straight. Our facility will be on the right after Busse Rd. Drive north on Busse Rd. Pass CVS and continue straight. Turn left onto Central Rd. Our facility will be immediately on the right. Drive west on Central Rd. Cross Rand Rd and continue straight. Our facility will be on the right after Busse Rd. Drive east on Central Rd. Cross Arlington Heights Rd and continue straight. Turn right onto S Weller Ln. Turn left onto W Busse Ave. Turn left onto S We Go Trail. Turn left onto Central Rd. Our facility will be on the right after Busse Rd.